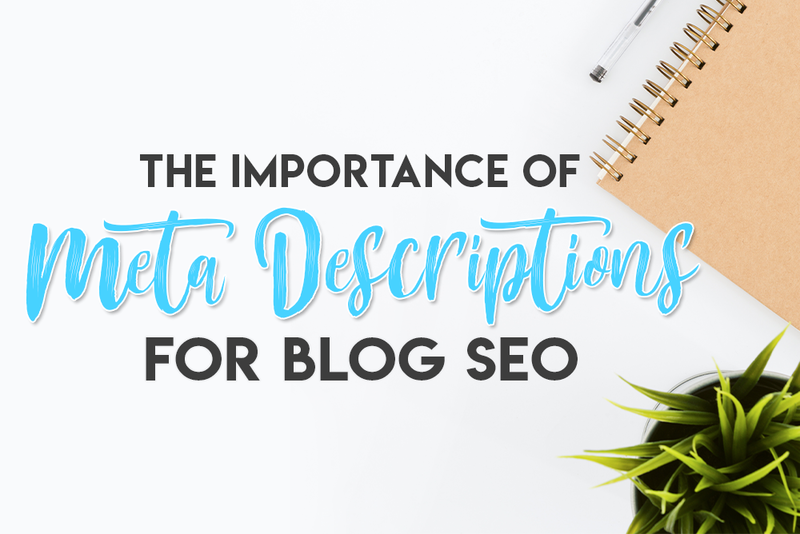 For blogging, meta descriptions are snippets of text that generally contains 155 – 160 characters and are used to give your audience a brief summary of your blog post. This text is collected by search engines and displayed in the search results to show searchers what your blog post’s content is about. The above screenshot is the meta data that appears when you search up this blog on Google. It contains the meta title, the meta URL, and the meta description (inside the green box). According to Google in 2009, meta description tags do not have a direct impact on a link’s ranking on search engines. This is due to webmasters abusing it as a ranking factor and stuffing keywords into meta descriptions in the past. However, meta descriptions do have an indirect impact on SEO! Search engines will rank your post according to the click-through rate of your link in the search results. That means if your meta descriptions aren’t helping your website get clicks, your rankings for different keywords will eventually go down. In other words, it really doesn’t matter what words you use in your meta description as long as people click on your link in the search results. That’s what Google really cares about at the end of the day. 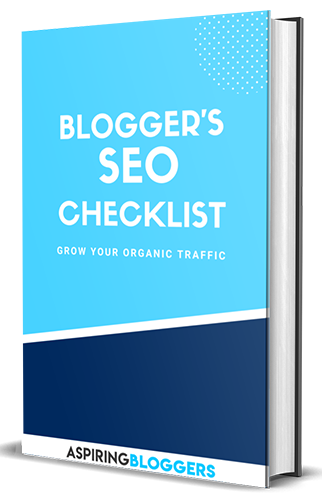 Most bloggers use Yoast SEO as their plugin for SEO and it’s the one I recommend for you to use as well. You can install it by going to Plugins > Add New and searching for it in WordPress. 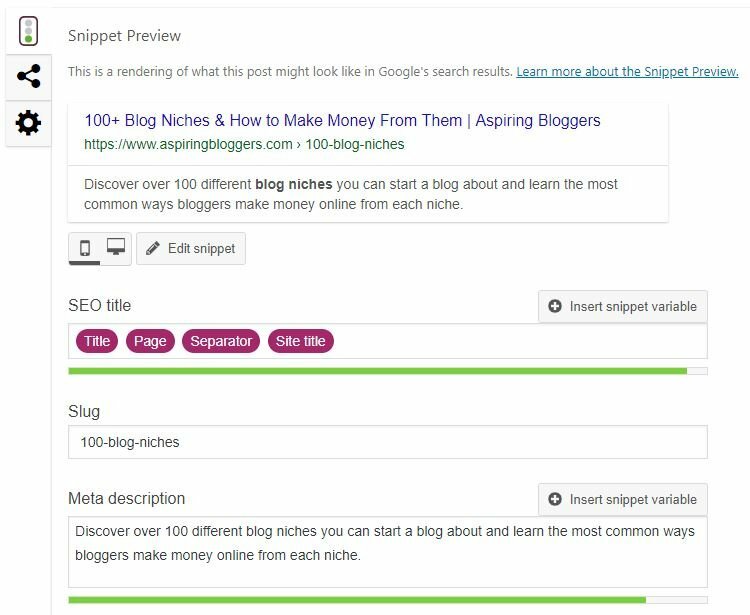 After enabling the plugin, Yoast will allow you to add your own meta descriptions to each of your blog posts by editing the blog post itself. I love this plugin because it also lets you know if your meta description is a good length and whether the keyword you want to rank for is included. 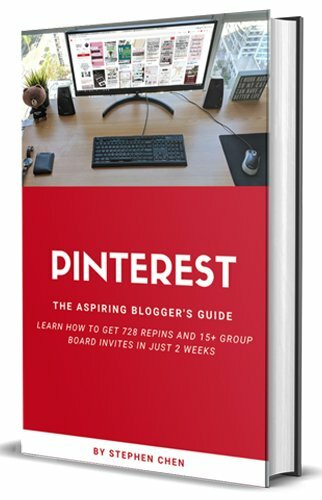 When you craft your meta description tag for a blog post, you need to consider the purpose of your blog post and how it benefits your audience. When people use Google, a majority of the time they are looking for answers. Make sure your meta description includes text that shows your post can answer their needs. If your meta title and description looks like it can satisfy their needs, they are more likely to click it. 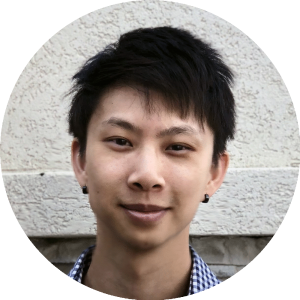 Additionally, you want to spend more than just a few minutes on writing your meta description. 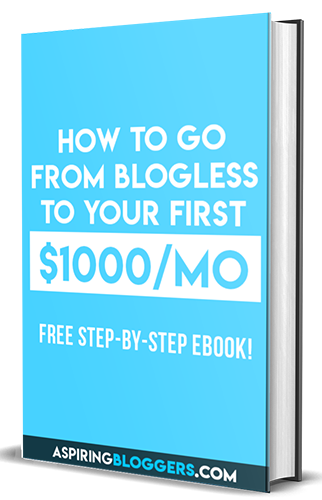 Your job is to come up with the best description possible so that you can generate as much organic traffic to your blog as possible!